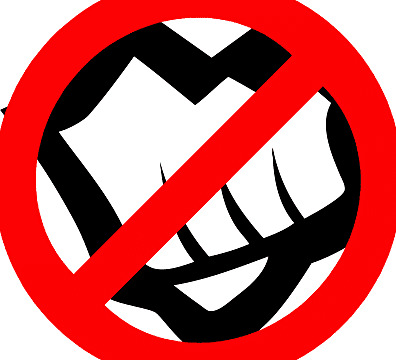 Things are looking very concerning for the 2017 NA and EU LCS Splits as I feel -- due to extensive research --, like Riot Games is bringing down the hammer on their pro teams, the pro players, and the teams' sponsors in regards to profitability and financial success. The owner of the Team SoloMid Esports organization, Andy "Reginald" Dihn, had an interview with theScore Esports, which was posted on YouTube. 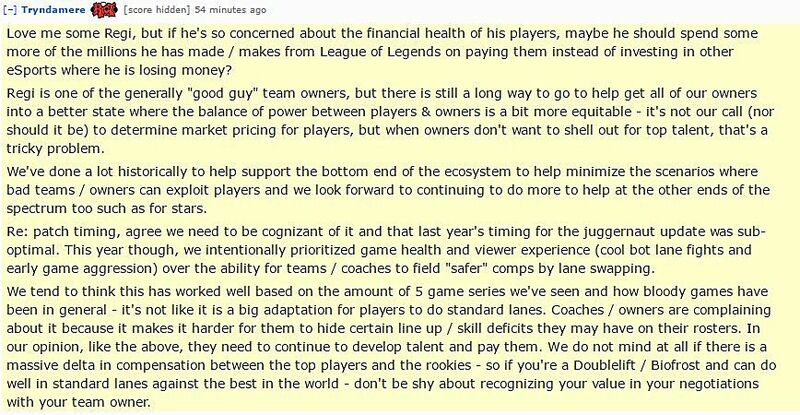 This interview was then posted on the r/leagueoflegends subreddit. 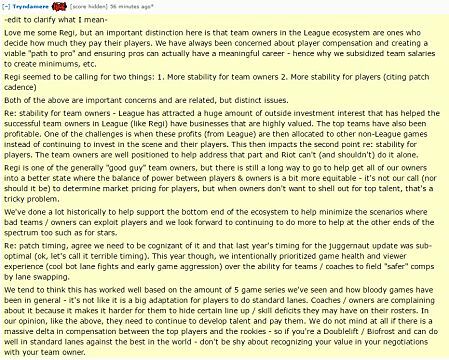 Marc "Tryndamere" Merrill, CEO at Riot Games, left a long comment (seen below) which created a great deal of controversy. Surely enough, everyone noticed that despite trying to cover his steps and seem more open-minded, Merrill's arguments in the edited version still remained ignorant of the fact that LCS teams benefit more from investing in their other esports rosters than in their LoL rosters. At that point, Reginald released his own official response to Tryndamere's Reddit comments. 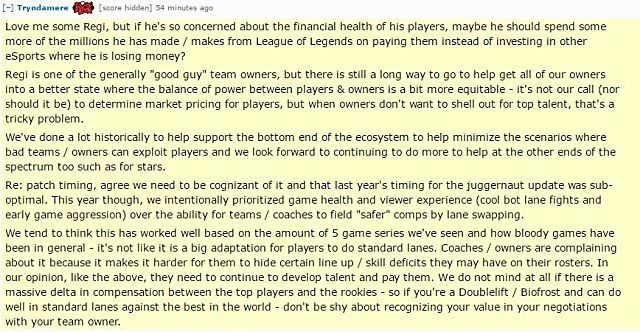 Based on Marc’s comment, it feels like there's a belief at Riot that team owners make a lot of money off LCS and invest it into other esports, but that is far from the truth. 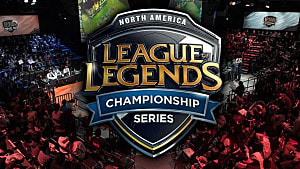 I've invested more into NA LCS than any other team. Instead of investing into other games early like Dota 2 and CS:GO; TSM has spent millions on content, players and staff to support LCS. We provided the first gaming house in NA before there were any sponsors at all and were the first team to provide health benefits for players. The bottom line is that an LCS stipend only covers a fraction of the cost of an LCS team’s operations. 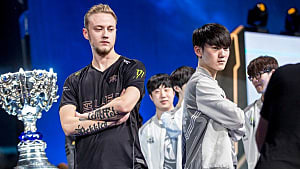 As a result, revenue from team sponsors is absolutely necessary, but the current LCS system is leading team sponsors to reduce support or – much worse – consider shifting support to eSports other than LoL. 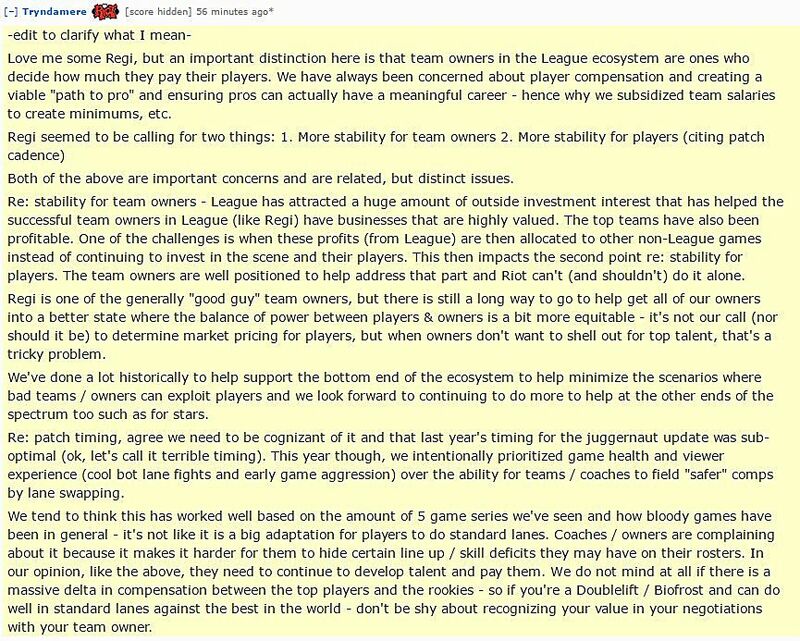 A letter written to Riot Games executives by several LCS teams, including Team Solomid, Cloud9, Counter Logic Gaming, Immortals, Fnatic, H2K and more was obtained by Slingshotesports.com. The only team who did not sign was Echo Fox. 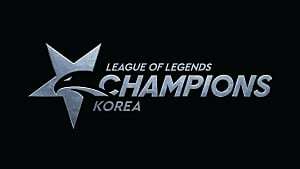 In this letter, the conglomerate of LCS teams listed changes that they wished to see implemented into the LCS in the near future. 6. The financial hardship suffered by the Team caused by insufficient compensation paid to the Teams. Riot Games responded with a crowd-funding system that would add money to their 2016 World Championship prize pool. This more than doubled the pool from $2.13M US to $5.07M US. They also released this lengthy video. 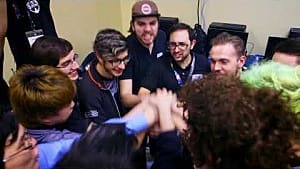 Many team owners criticized Riot Games saying that the recent implementation of the 2016 World Championships crowd-funding system wasn't sufficient and didn't help with anything long-term. The most recent controversy would be Riot Games' methods used to pressure all their LCS teams sign on for 2017. All of the qualified LCS teams have signed on for 2017. How would Riot Games be able to accomplish this without conforming to the demands from The Letter? It seems as though close sources to some teams and to Riot Games have come forward reporting that unethical methods were used to pressure teams to sign the agreement. Cloud9's challenger team won a spot in the 2017 NA LCS. 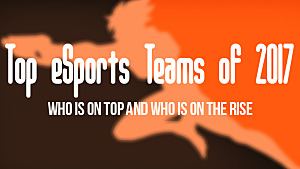 Cloud9 already has a team in the LCS, so per Riot Games rules, they must sell one of the two spots. In the past, these spots have sold for approximately $1,000,000. Riot would have told Cloud9 that if they didn't sign the agreement for the 2017 NA LCS season, any effort to sell one of their LCS spots would be rejected by Riot themselves. 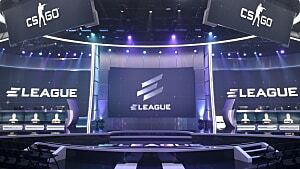 In other words, if Cloud9 didn't sign the agreement, they would lose $1,000,000. 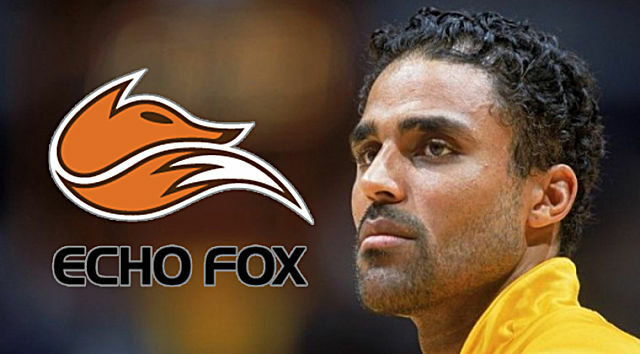 During the same time period, Riot Games told team owners that they would allow Echo Fox, the only team that didn't sign The Letter, to poach players from all teams who decided not to sign. Allegedly, this is what made most teams surrender the fight and sign the agreement. As someone who has been fanatically following the LoL esports scene since season 2, I feel like this is completely wrong. 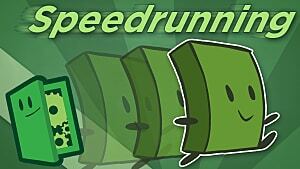 I feel betrayed. Riot Games is completely taking advantage of the people who are generating the largest portion of their yearly income. Riot Games is expected to rake in $1.8 billion for 2016. Let me break this down. $1.8 billion equals to 1,800 million dollars. Riot Games has 300-400 employees. They could pay each of their employees $1 million and still have $1,400 million. Deduct a generous $500 million for expenses, yada yada, etc. They still have $900 million. How in the world are teams not getting their share of this? Players could make exponentially higher salaries, which would attract more talent, which would make the leagues more competitive, which would bring on more viewers, which would increase publicity, which would increase their player base, which would increase their yearly earnings. The only answer that I can come up with... Greed. Either the stockholders are really greedy, the executives are greedy, I don't know who, but someone is definitely greedy. I truly hope that the people who are making the decisions regarding all of this come to their senses. Just imagine what would be possible.